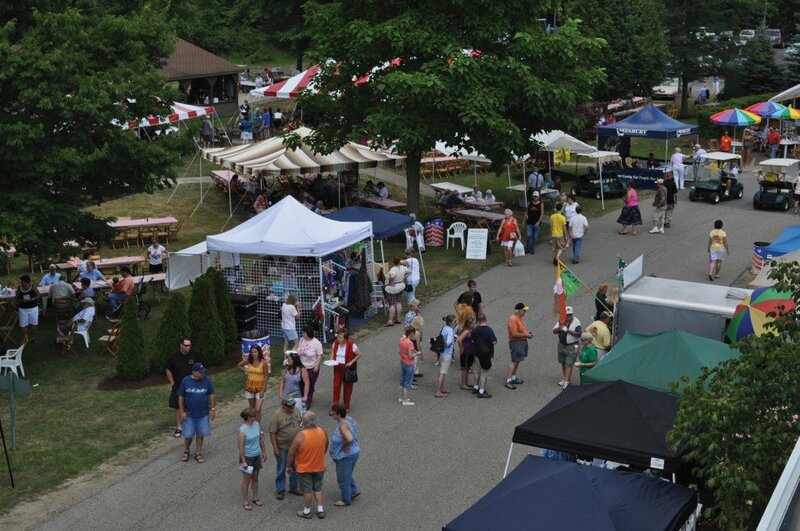 Save the Date for the Chicken BBQ and Craft Fair, and Chicken 5K Run/Walk in July! Sign-up Today for the 4th Annual 5K Chicken Run/Walk and 1 Mile Walk! Cost: $20.00 if pre-registered by July 1st (T-shirt included with Pre-Registration) – $25.00 after July 1st. Registration begins at 8:15 a.m. Runners start at 9:00 a.m. • Walkers start at 9:05 a.m. Registration tent will be located at Northwest Pharmacy Solutions. Please sign in at the registration tent the morning of the race to receive packet. Award ceremony will be held after the 5K Run/Walk and 1 Mile Walk. Note: Parking Available on campus. Join in the fun by visiting the family fun zone, classic car cruise in, and crafters and vendors; listening to the outdoor and indoor entertainment; eating BBQ Chicken and Ribs; and by supporting the Sunset Auxiliary’s Rummage, Used Book and Bake Sales. For more information call the Wesbury Foundation: (814) 332-9264.